Study abroad (SA) as a domain of inquiry in the field of Applied Linguistics has been approached from a variety of different perspectives. Although originally focused on measuring the impact of residence abroad on students’ language development, in the last decade the so-called ‘social’ turn in Second Language Acquisition has brought to the fore the importance of socio-cultural aspects of the students’ experiences (such as the amount of contact they have with the local community, their social networks, etc.). This focus on the students’ entire lived experiences in the destination country opened the door to an increased interest in analysing their language encounters in terms of intercultural learning. This new domain of investigation in SA research, focused on the students’ opportunities for intercultural development while abroad, is varied in terms of perspectives and discourses, as it catalyses the different interests and viewpoints of the various stakeholders, including educational institutions, international political organisations, teachers or the students themselves. This book gathers some of these voices, with contributions on topics such as the features, dynamics, advantages and shortcomings, preparation needs and pedagogical issues relating to student mobility in terms of the participants’ intercultural learning. 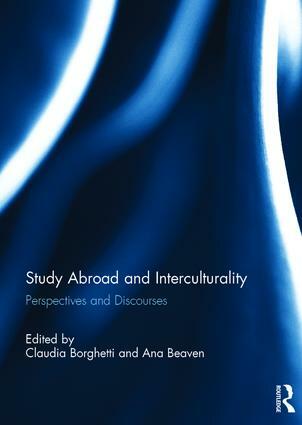 This book was originally published as a special issue of Language and Intercultural Communication. Claudia Borghetti is Research Fellow in Language Learning and Teaching at the Department of Modern Languages, Literature and Cultures, University of Bologna, Italy. Ana Beaven is an English Language teacher at the University Language Centre, University of Bologna, Italy.